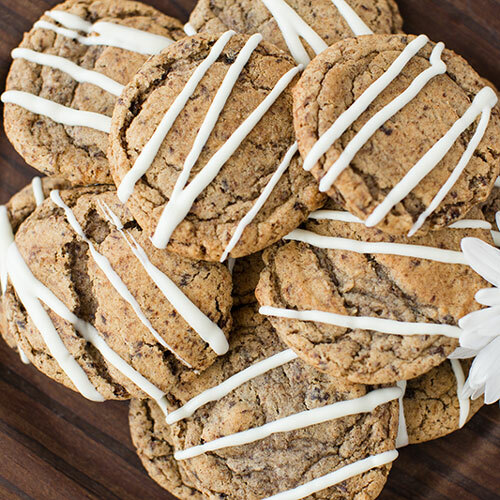 Indulge in your favorite beverage anytime in the form of a moist, chewy Gourmet Cookie! Are you completely addicted to the delicious specialty espresso drinks your favorite local cafe offers? 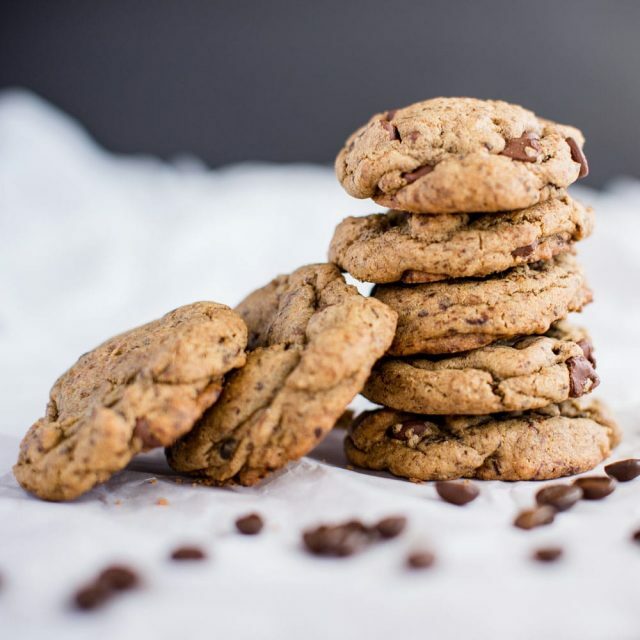 Do you love home baked cookies? Want to try a new flavor pallet unlike a baked dessert you’ve had before? Try Java Sweets’ Iced Cinnamon Latte Cookie! Each one of our delicious gourmet cookies comes individually sealed and they are shipped in a beautiful, embossed Java Sweets Gift Tin. 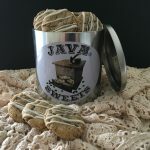 You won’t need to run down to the cafe and buy a drink when you order a full batch of Java Sweets Gourmet Iced Cinnamon Latte Cookies which arrives right on your doorstep. Coffee shops have mastered the art of combining sweet and rich flavors to deliver tasty coffee creations. 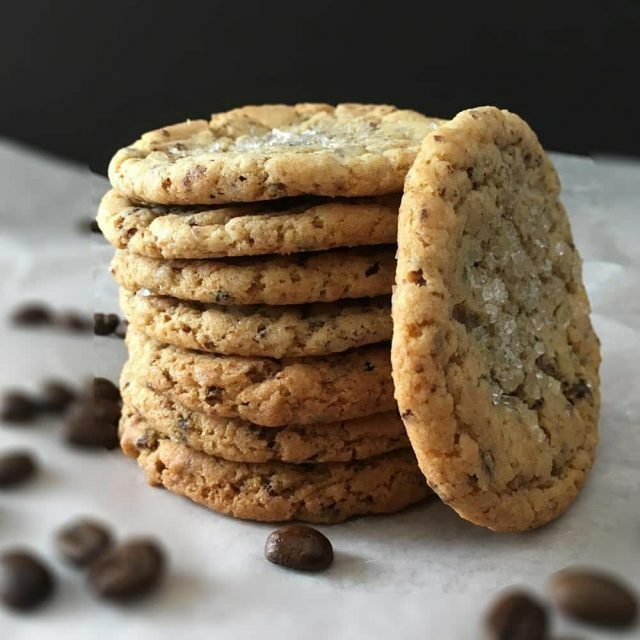 Most cafes here in the US offer treats like cookies and pastries because of how well the sweetness of baked goods go with their specialty crafted coffees. 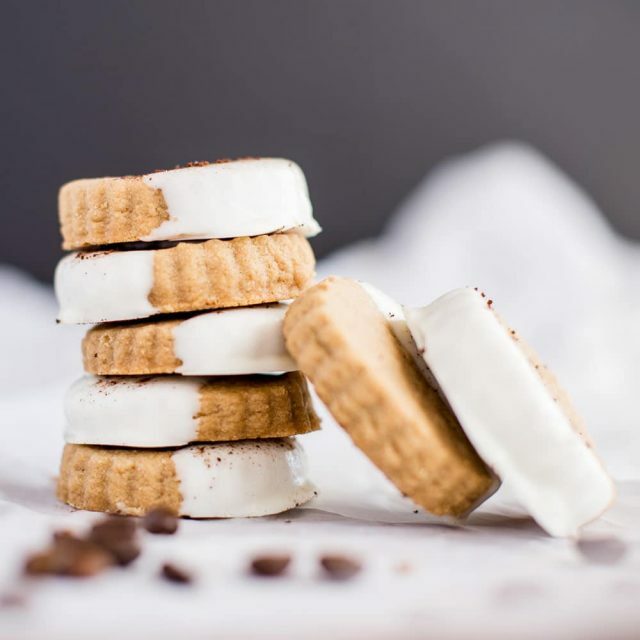 Java Sweets takes the next step, baking up delicious treats with coffee infused into every recipe! Why pay for both a coffee and a baked treat when you could have them combined in one delicious dessert? All of our coffee-infused treats make wonderful gifts for the coffee lovers in your life. If you know anyone with a coffee addiction and a major sweet tooth, surprise them with a delicious batch of our Iced Cinnamon Latte Cookies! 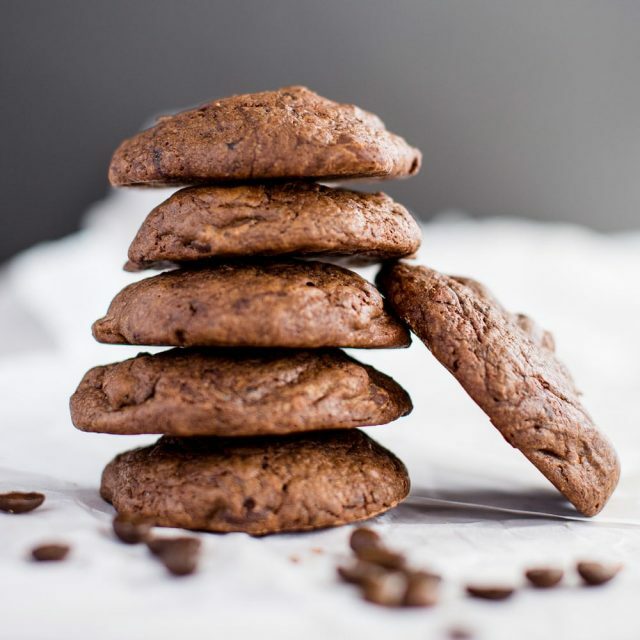 The frothy milk of this cookie lightens the richness of the espresso, while the tasty play of cinnamon and sugar adds sweetness to this delicious dessert. You can enjoy the deliciousness of a cafe-brewed Cinnamon Latte in the comfort of your own home without having to lift a finger. We’ll deliver this fresh, home-baked batch of cookies to your family’s doorstep to enjoy together (unless you want to hoard them all for yourself!). Pair the Iced Cinnamon Latte Cookie with an ice cold glass of milk. They’re wonderful enjoyed on their own, or crumbled on top of fruit or oatmeal for some added coffee sweetness! 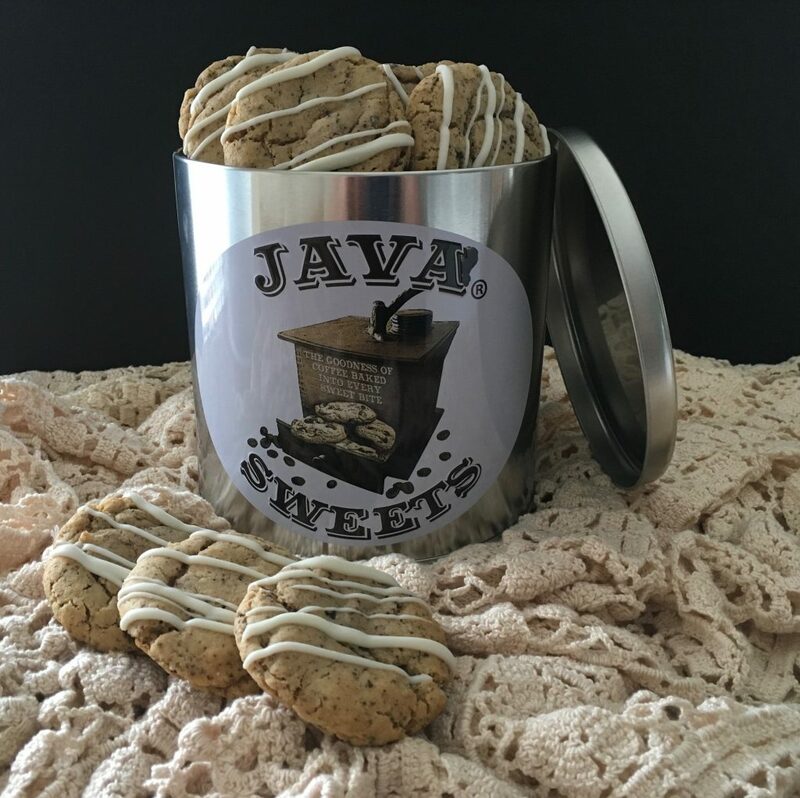 Java Sweets’ authentic coffee base is baked right into our Iced Cinnamon Latte Cookie. 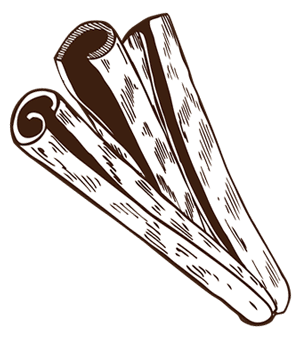 The coffee is complemented by the sweetness of sugar with a cinnamon kick. We top it off with a swirl of vanilla to give the iced cinnamon latte cookie a perfect balance of delicious flavors. 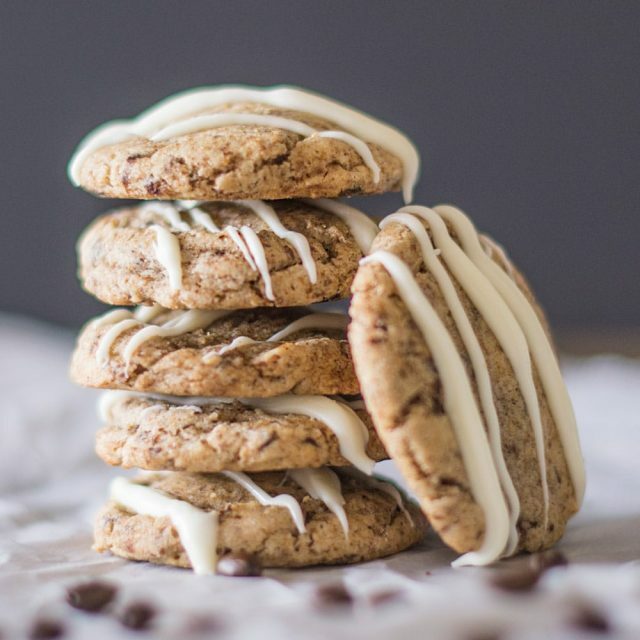 Our Iced Cinnamon Latte cookies are made without the use of preservatives, so they are intended for immediate consumption (which won’t be a problem once you get your hands on them!). As each Iced Cinnamon Latte Gourmet Cookie is individually sealed, they stay fresh for 3 weeks, and can be frozen for up to 3 months. Items are typically shipped within 2-3 business days of order being placed. Delivery time is typically from 2 days (eastern US) – 5 days (western US) from the time the item is shipped if standard ground shipping is selected. Please contact us for shipping costs if you’re ordering from outside the United States. Not sure which flavor to choose?